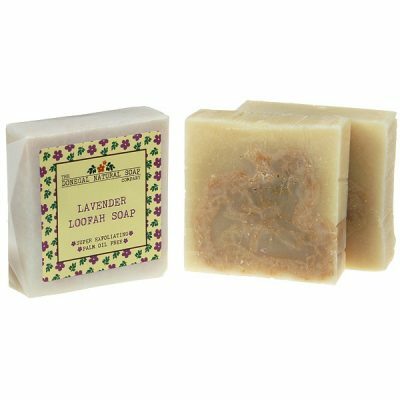 This large soap is embedded with a slice of Egyptian loofah to create a soap scrub. 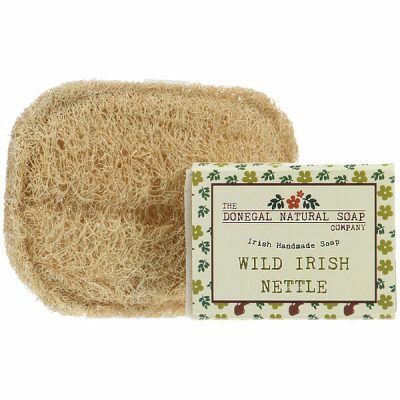 Loofah is a highly effective exfoliant and has been used for centuries as a bathing accessory. It help to remove dead skin cells, softened hardened skin areas, and encourage dermal micro-circulation. Scented with tingling peppermint and healing Tea Tree. 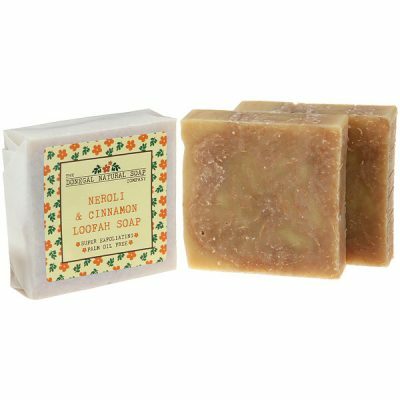 This large soap is embedded with a slice of Egyptian loofah to create a soap scrub. 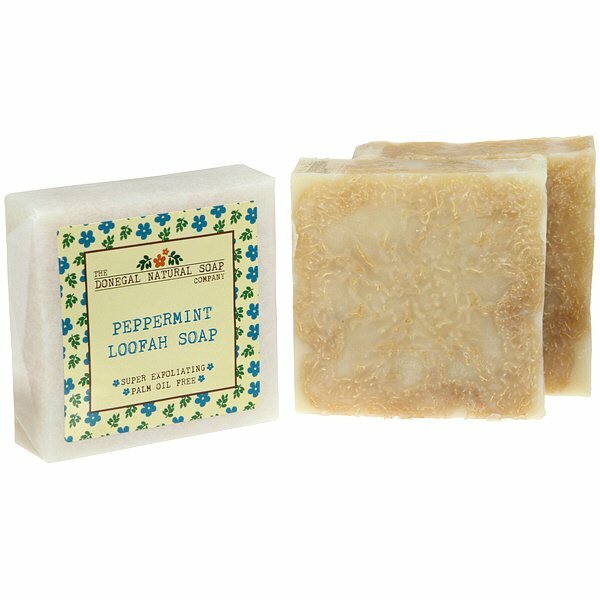 Loofah is a highly effective exfoliant and has been used for centuries as a bathing accessory. It help to remove dead skin cells, softened hardened skin areas, and encourage dermal micro-circulation and consequently aid in breaking down toxins and fat. 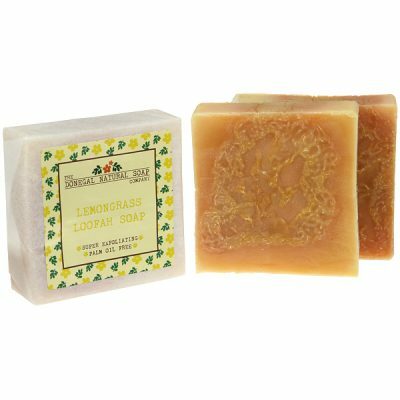 These soaps are not for everyone and are unsuitable for delicate or sensitive skin.Wonderfully coloured with turmeric spice, famous for its Ayurvedic properties, and scented with neroli (bitter orange blossom) and cinnamon leaf essential oils for a warming scent. Sodium olivate (olive oil), Sodium Cocoate (Coconut oil), Sodium Shea butterate (Shea butter), , Sodium Cocoa Butterate (Cocoa Butter), Sodium Castorate (Castor oil), Luffa Cylindrica, Parfum* (Natural Essential oil Blend), Tocopherol (Vitamin E), *Naturally occurring in essential oils (limonene).